Texas residents are no strangers to heat. About 2/3rds of the year is spent with our air conditioners on, and with that heat often comes humidity as well. This excess moisture in the air makes it harder for the human body to release heat through sweat, making humid days feel hotter than the actual temperature outside. As a result, you’ll probably try setting your thermostat lower and lower (or you’ll just accept that this is as good as it is going to get and accept this level of comfort)—but is that really helping? When you live somewhere like San Antonio, chances are that you do think a bit about your air conditioner. You want it to operate effectively and efficiently, after all. 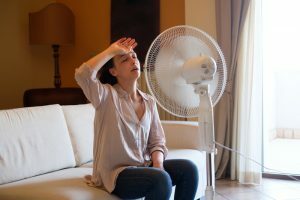 What most homeowners don’t think about those is the “V” in “HVAC”—the ventilation that connects your air conditioner to the outside, making the distribution of cooled air possible. 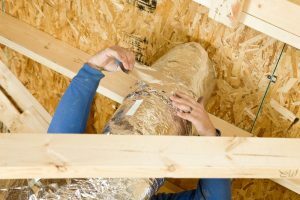 This ventilation system, known as your air ducts, is typically out of sight—hidden behind walls, beneath floors, or in your attic and crawlspace. Unfortunately, if you had your ductwork installed by an amateur, or if you have aging ductwork, there’s a good chance it’s accumulated damage over the years. And if your air ducts are impacted by leaks, poor connections, or improper construction, you might be experiencing problems that lead to poor HVAC efficiency and possibly San Antonio air conditioning repair needs, as well. One of the most common problems that leads to damage is ductwork that wasn’t properly sized for the home in which it’s installed.